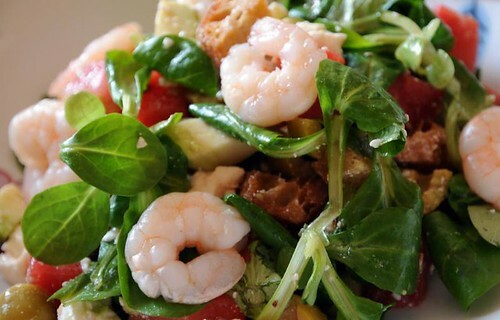 A nice summer salad - maché lettuce, poached shrimp, watermelon, feta cheese, creamy avocado and crunchy homemade croutons. Looks delicious! I am so into avocado at the moment.